An exhibition celebrating Scotland's relationship with the Commonwealth Games will be touring Scotland over the next 12 months, opening next week in Irvine. 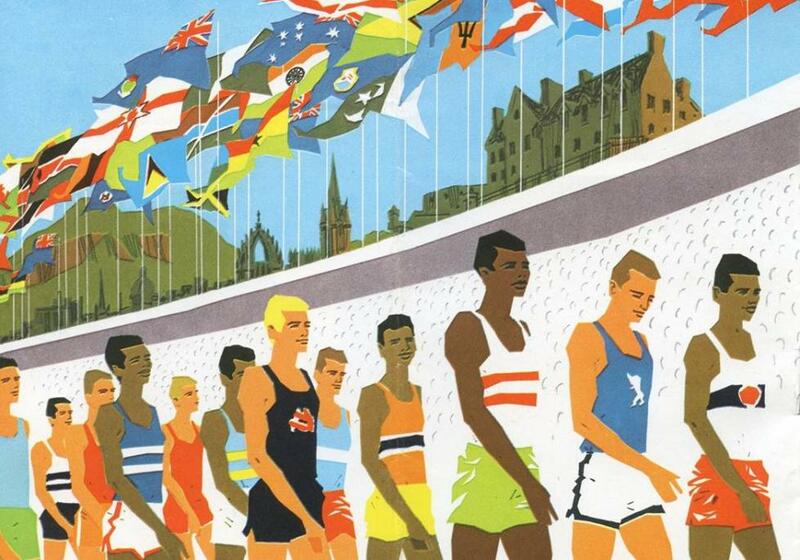 Drawn from the Commonwealth Games Scotland Archive held by the University of Stirling, ‘Hosts and Champions: Scotland in the Commonwealth Games’ celebrates over 80 years of participation and achievement by Scotland in the Commonwealth Games, from its origin as the British Empire Games in Hamilton, Canada, in 1930, through to Glasgow 2014. The exhibition includes photographs, designs, clothing, papers and artefacts which evoke a rich story of Scotland's involvement in the Games, including as hosts in 1970, 1986 and 2014. Richard Haynes, Professor of Communications, Media and Culture at the University of Stirling and academic curator of the exhibition, said: “We are delighted that North Ayrshire Council are the first to host our touring exhibition Hosts and Champions. “Trinity Church in Irvine provides a wonderful venue for the touring exhibition, bringing together Scotland's sporting heritage with an iconic building in the centre of the town. Representing the Scottish Government at the opening of the exhibition, Housing Minister Margaret Burgess said: “The Glasgow 2014 Commonwealth Games was the biggest sporting and cultural event Scotland hosted, and Scotland will continue to benefit from the best Games ever. “Legacy Week is about celebrating the success of the Games and shining the spotlight on the legacy of the Games. “This exhibition gives us a fascinating insight into Scotland’s Commonwealth Games story. It brings together a spectacular array of photographs, artefacts, and interviews with competitors and medallists from across Scotland, spanning more than 80 years of international sporting competition. Hosts and Champions will be displayed in a number of local authority cultural venues across Scotland in 2015 and 2016, opening with a preview event at the Trinity Church in Irvine on Monday 9 March, Commonwealth Day. The exhibition will be on display to the public from Friday 13 March until Friday 17 April, on Mondays, Fridays and Saturdays from 10am - 5pm. The Provost of North Ayrshire, Joan Sturgeon, will attend the preview event, along with representatives of Commonwealth Games Scotland with the Queen’s Baton. Margaret Burgess, Minister for Housing and Welfare and local MSP for Cunninghame South, will also speak at the event. The exhibition, developed with the support of Commonwealth Games Scotland and Legacy 2014, is curated by the University of Stirling Archives. For more information please contact David Tripp, University of Stirling Communications Officer, on 01786 466687 or email david.tripp@stir.ac.uk. More information about the exhibition is available at http://libguides.stir.ac.uk/projects/hostsandchamps and http://archives.wordpress.stir.ac.uk/2015/02/05/news-from-the-village/. You can follow the exhibition on social media using #HostsandChampions. For more information on the University of Stirling Archives, please visit http://libguides.stir.ac.uk/archives.